MANILA, October 1, 2018 -- A young boy who had been struggling in life got a special treat from Special Assistant to the President (SAP) Christopher Lawrence ‘Bong’ Go: a special dinner with no less than President Rodrigo Duterte. Gitler Yanez’s story had gone viral on social media and caught the attention of Go. A fifth grade student of the San Mateo Annex Elementary School in Tungao, Butuan City, Gitler did not have enough money to buy food and would go to school with his baon of rice paired with soy sauce and vinegar. His father Gil earns less than the minimum wage working as a baker while his mother Refilyn is a stay-at-home mother. Gitler has a sister who is a 7th grade student. 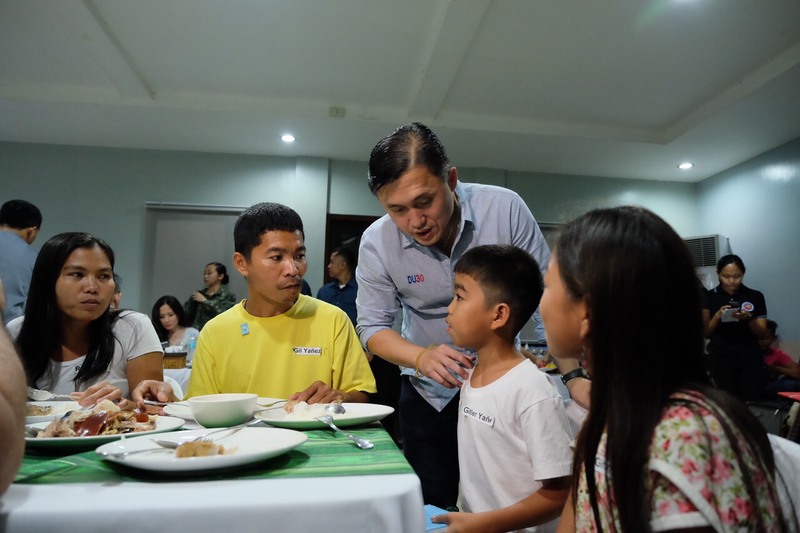 Go said when he learned of the boy’s family’s situation, the President promised to help them. But first they surprised them with a dinner invitation. “Inimbitahan po namin ni Pangulong Duterte. 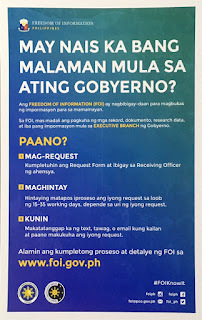 Natuwa naman po ako na nangako po ang ating Pangulo na pagawan na kahit maliit na bahay at bibigyan po ng trabaho na stable ‘yung kaniyang tatay at sa ngayon ay bibigyan ng financial assistance ng ating Pangulo para man lang makatulong sa kanila. I-nassure n’ya na magkakaroon sila ng stable na hanap-buhay,” Go said during his recent radio interview in DZRH with Henry Uri. Go also gave Gitler and his sister a cell phone each for them to enjoy. “Ako naman nagbigay ako ng dalawang simpleng cell phone para kahit papano matuwa ‘yung dalawang bata na magkapatid,” he said. 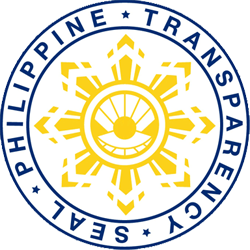 Go said the Office of the President is always open and ready to help to Filipinos. “Bukas ang aming tanggapan sa abot po ng aming makakaya po ay tutulong at tutulong lang po kami. Anytime. Bukas po ang aming tanggapan,” he said. 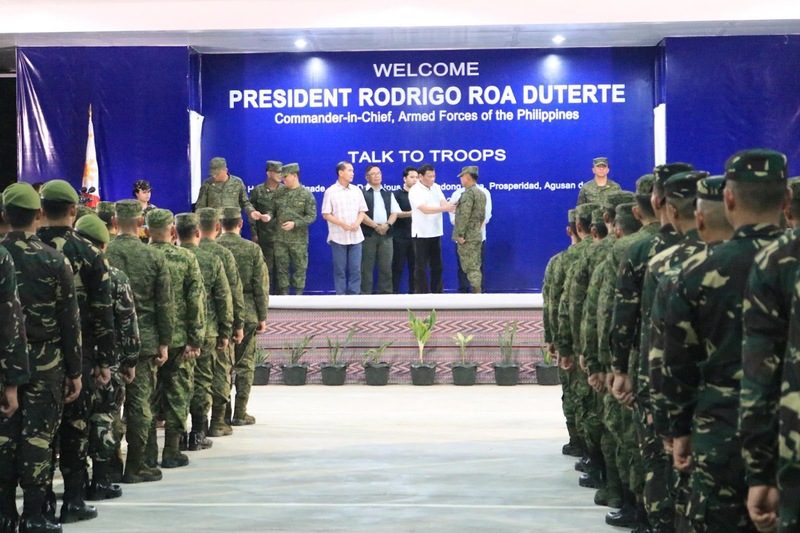 PROSPERIDAD, Agusan del Sur, Oct. 2 (PIA) – President Rodrigo Roa Duterte led on Saturday the donning of ranks and awarding of deserving personnel of 401st Infantry Brigade, Philippine Army held at the Camp Datu Lipus Makapandong, Barangay Awa, Prosperidad, this province. The president personally led the donning of ranks to the newly promoted uniformed personnel to next higher rank. They are Technical Sergeant Wilson Maningo; TSgt Allan Cruz; Staff Sgt Gilbert Epino; Sgt Roel Hallasgo; Sgt Randy Fernandez; and Corporal Rosaldo Bagante. Promoted to Major rank is Captain Rodulfo Cordero, the Civil Military Operations (CMO) Officer of 401st Brigade. Military Merit Medals were also awarded to 1Lt. John Marayag (Signal Corps); 2Lt. Jordan Paner Padilla (Infantry); Corporal Hernie Maisog (Infantry); MSgt Ramil Balunso (Infantry); and with spearhead device Civilian Auxiliary Jason Malagunta. For Gold Cross Medal, 1Lt. Nonette Banggad (Infantry); and 2Lt. Jade Bryce Bune (Infantry) received the award. Capt. Engilbert Soriano (Infantry) and SSgt Marcelo Lagliva (Field Artillery) also received the Silver Cross Medal. The President also awarded the Silver Wing Medal to Col Maurito L Licudine, Infantry (General Staff Corps). Also, two of the deserving personnel of 401st Infantry Brigade who are promoted to the rank of Captain include 1Lt. Michael Pascua of 75IB, Phil. Army (Quartermaster Service), and 1Lt. Jason Luna. Meanwhile, the president expressed his sincere concern to the soldiers of 401st and 402nd Brigades who dedicated their lives for the welfare of the public. He further encouraged them to perform their mandated duties as defenders of the people and nation in accordance to the laws.